A scholarship is gift aid given to you to help fund your education. Most scholarships awarded at SU come from Salisbury University and the SU Foundation’s endowments with unique eligibility and scholarship renewal requirements. There are also many scholarships available to you from other, external organizations. Keep in mind, scholarship money does not have to be repaid. Presidential & Transfer Academic Merit scholarships for incoming freshman and transfer students - SU offers a range of general merit scholarships to in-state, out-of-state and international students that do not require a separate application. Prospective incoming freshmen and transfer students will automatically be reviewed for these awards provided timely applications for admission are filed. Eligibility - Freshmen candidates are reviewed based on high school GPA and SAT or ACT scores. Award consideration is based upon a numerical standard and the competition of the applicant pool. Transfer students must have a transfer GPA of 2.5 or higher. Merit scholarship awards are limited to the fall and spring semesters for undergraduate studies only. Timing - Incoming freshmen are advised to file early action admission applications (by November 15) for guaranteed scholarship consideration. The scholarship reviews will continue beyond the early action date if funding is still available. Renewal – All students are required to maintain a 3.0 GPA and complete 24 credits each year in order to annually renew their academic merit scholarships. Scholarships do have a maximum amount of semesters for which you may receive them so please refer to the Scholarship Policies page for more details. The Delmarva Partnership Scholarship is available to students who from the Eastern Shore of Virginia and state of Delaware with no separate application necessary. Award amounts vary based on whether the student is an incoming freshman or transfer student. Recipients of the Delmarva Partnership Scholarship cannot receive the Salisbury University Transfer Grant or Transfer Merit Scholarship. The SU Fund is a need-based, last dollar institutional grant for full-time undergraduate, first bachelor’s degree seeking students who demonstrate financial need. The determination of the grant amount is based on financial need, the receipt of other gift aid and the student’s academic level determined via their HS GPA and test scores. The minimum award amount is $300. The amount of funding available to award varies each year and is based on the allocation of funds from the institution and the number of eligible applicants. Funding is limited and is awarded on a first come, first serve basis annually so file the FAFSA early and prior to March 1. The receipt of the SU fund is not guaranteed year to year and requires the annual submission of the FAFSA. The SU Transfer grant is available to incoming transfer students with a FAFSA expected family contribution (EFC) between $0 - $5,999. International scholarships are available, please contact the Admission’s office for more details. For all other institutional scholarship opportunities, check out SU's Academic Works scholarship site and complete the general application to be matched up with scholarships you may be eligible for at the University. A grant is essentially free money or gift aid given to you to finance your education. It can come from the state or federal government, from SU or from private sources and it doesn’t have to be repaid. Federal Pell Grants usually are awarded only to undergraduate students who display exceptional financial need and have not earned a bachelor's or a professional degree. You apply for a Pell grant via the annual FAFSA. Federal Supplemental Educational Opportunity Grants (FSEOG) are federal grants administered directly by the Office of Financial Aid & Scholarships at SU. You apply for a FSEOG grant via the annual FAFSA. SU Fund is an institutional grant for full-time undergraduate, first bachelor’s degree candidate students who demonstrate financial need via the FAFSA. The minimum award is $300. Funds are limited. Edward T. and Mary A. Conroy Memorial Scholarship Program & Jean B. Cryor Memorial Scholarship Program - The purpose of the Edward T. and Mary A. Conroy Memorial Scholarship Program is to provide student financial assistance to certain individuals due to their eligible military or public safety service or due to their eligible family or marital relationship to such an individual. The purpose of the Jean B. Cryor Memorial Scholarship Program is to provide student financial assistance to eligible children and surviving spouses of school employees who, as a victim in an act of violence occurring in the line of duty, either died or sustained an injury that rendered the school employee 100 percent disabled. To review the eligibility requirements for this state award, please visit MHEC’s website. After reviewing the eligibility requirements and determining that you may be eligible for this state award, please complete the corresponding application and provide it to the Office of Financial Aid & Scholarships by July 15, 2019. If scholarships and grants can’t cover the entire cost of your education, you can secure a loan from the federal government or from a private institution like a bank to cover the difference. Generally speaking, Federal student loans include many benefits (such as fixed interest rates and income-driven repayment plans) not typically offered with private loans. In contrast, private loans are generally more expensive than federal student loans. Direct Subsidized Loans are available to eligible, undergraduate students with financial need via a completed FAFSA. Direct Parent PLUS Loans are available to eligible parents for the purpose of higher education expenses related to eligible students. Credit checks are required. In order to apply for a Direct PLUS loan, please visit the U.S. Department of Education site to complete the application and follow the instructions provided. You/your parent DO NOT have the ability to accept the PLUS Loan on the GullNet. The maximum a parent may request is cost of attendance minus other aid. These figures can be found on your GullNet (Self Service> Campus Finances> Accept/Decline Awards). Your parent is NOT required to borrow the maximum amount offered. You will notice an Award Amount and a Net Amount on your GullNet. The Net Amount is what will be applied to your University bill. The difference is the federal government processing fee. The interest rate for the 2018-2019 academic year is 7.60%. Parents may choose to defer payments until 6 months after the date the student ceases to be enrolled at least half-time or begin repayment within 60 days of disbursement. A GullNet checklist item will remain on your "To Do" list as Initiated until your parent declines the PLUS offer or until they complete the Parent PLUS loan application process. Grad PLUS Loans are federal loans that graduate and professional students with good credit history may borrow to help pay educational expenses if you are enrolled in at least 5 credits per semester. Private educational loans are available to students but may require a credit check and/or endorser to be considered eligible. For more Federal Parent PLUS loan information. The Federal Work Study program enables you to earn money for part-time employment to help pay for your education. In most cases, you would be employed by SU in the Work Study program. 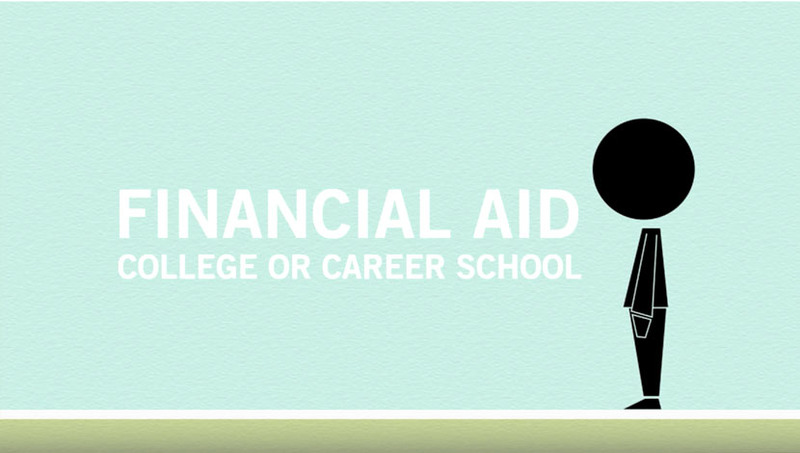 In order to be considered eligible for the Federal Work-Study Program, students must first complete the Free Application for Federal Student Aid (FAFSA) available at fafsa.ed.gov. Only students who demonstrate financial need will be considered for the work study program. If, after you after completed your FAFSA form and you feel your application demonstrates a financial need, you are encouraged to complete the Federal Work Study Questionnaire and submit to the Financial Aid Office. The Maryland Prepaid Tuition Plan is a savings plan that allows parents to set aside funds to pay college tuition for their dependents. The university does not bill the tuition plan directly. Normally, once the first bill of the semester is received, parents forward a copy of the bill to the Maryland Prepaid Tuition Plan and the tuition plan sends payment to the university on behalf of the student. For more information about the State of Maryland's plan, visit www.collegesavingsmd.org. Prepaid tuition plans are also available in many states and procedures for requesting payment from the tuition plan may vary. For information regarding prepaid tuition plans outside the State of Maryland, please contact a representative from your individual state program. Some companies offer tuition remission for their employees or dependents of employees. We encourage students to investigate tuition remission programs through their employer or with their parent's employer. Regular, benefit-eligible employees within the University System of Maryland (USM) may take advantage of tuition remission for themselves or their dependent children. Tuition remission, if applicable, is a benefit where tuition or a portion thereof is paid by the employer. The level of benefit depends upon the hire date of the employee. Contact Human Resources at your place of employment for more information. VA benefits are administered by the Registrar's office so to begin using your VA Education Benefits, supporting documents are needed for the University to certify your enrollment with the VA. To access your benefits, you must first complete an Application for Education Benefits online through the VA’s website. If you have not received your Certificate of Eligibility, please provide the Veteran's Office with a copy of your completed Application. Once you receive your Certificate of Eligibility, to receive enrollment certification at SU, the Veterans Benefit Certification Request needs to be completed each semester. If you are admitted to a master’s-level program at SU, you are eligible for a teaching, research or administrative assistantship. By working for the University, your tuition will be waived. View Graduate Assistantships at SU!